Welcome to Loan Against Car Johannesburg your trusted and reliable cash provider when you need it the most. We specialize in loans against cars and provide discreet services. At Loan Against Car Johannesburg we take the pain out of getting a loan by providing an easy application process and approving your loan within a matter of hours. Need a loan as soon as possible? At Loan Against Car Johannesburg we strive to provide fast loans processes and when your loan has been approved, we will send money into your account on the same day. When you need fast loans against any of your vehicles be sure to contact us today. 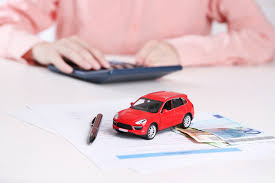 At Loan Against Car Johannesburg we keep our business with customers professional and discreet so you can be sure that no one else will know about your dealings with us. At Loan Against Car Johannesburg we know it hard to get a loan from other companies such as banks. We provide a hassle free loan process to help you get the money you need as soon as possible.